This book is aimed at advanced students and practising engineers. It provides step by step instructions in the use of MicroSim PSpice, industry-standard software that simulates power-electronics circuits. Computer-aided simulation is recognised as the most efficient method of power electronics circuit performance analysis, and is widely used in the industrial marketplace. This book presents a clear and concise guide to one of the most popular software packages. The theory is backed up by drills and exercises throughout, building up practical experience in MicroSim PSpice. 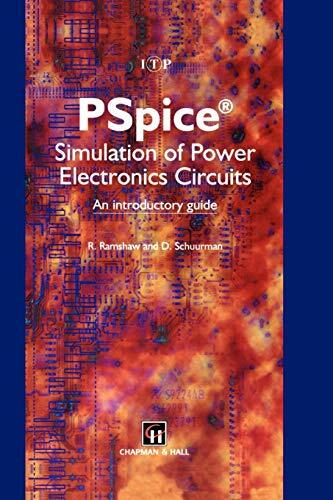 The book is intended for use alongside a PC, and a free evaluation version of MicroSim PSpice will be supplied on application to Microsim Corporation. Alternatively, the author's site on the Internet can be accessed at the Internet and the software can be downloaded along with free circuit files, library files and zipped solutions to exercises.